Today’s podcast is really just a gift for my beautiful wife Mary Jane. She has had to put up with me through all of the researching, writing, and recording of these long-forgotten and sometimes bizarre stories. When we first met back in 2004, she asked me to research the story that I am about to tell further, but I told her that it was both too new and well known to do. Every couple of years Mary Jane would suggest the story once again, but it wasn’t until a couple of months ago that I decided to take a fresh look at it. I’m not sure if I have ever mentioned this before, but my wife Mary Jane is fluent in both French and Spanish. French is her true love, having studied in Paris for five years. As a lover of languages, Mary Jane opted to master Spanish a few years before we met and spent her summers south of the U.S. border immersing herself in Central American culture. It was while studying Spanish in Oaxaca, Mexico that she stumbled across a local story in the newspaper. It’s that story that she has been bugging me about it ever since. The setting for this story is a one-room house high up in the mountains of Rio Talea, which is in the southwestern portion of Mexico. 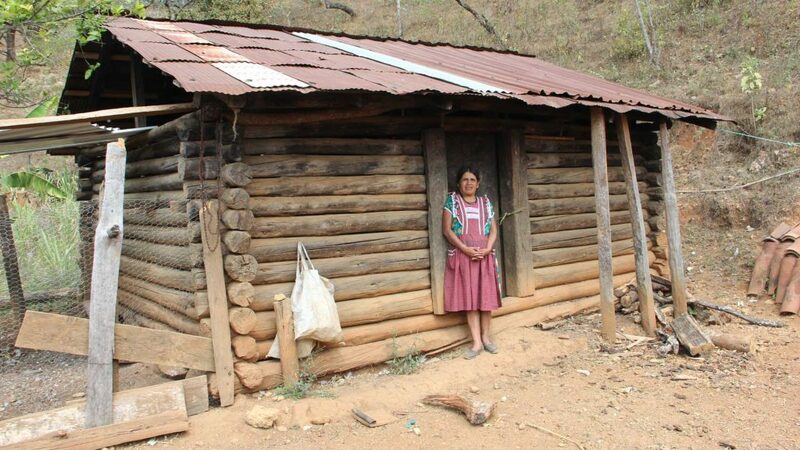 It was in this dirt-floored cabin on March 5, 2000 that a petite 40-year-old Zapotec native named Ines Ramirez Perez started to go into labor. Her husband, who had assisted with the birth of six of their seven children, was unavailable. Most sources claim that he was at the local cantina getting drunk, but the original story that my wife provided indicated that he was out of town with two sons selling grain. No matter what dad was doing, we can be certain that he wasn’t there to assist with the delivery. This town was so remote that it lacked modern medical care. There were no doctors or nurses to contact for assistance. The nearest medical clinic was fifty miles (80 kilometers) away over mountainous terrain. Rio Talea did have one telephone, but it was too far away to be of any benefit. Ines Ramirez Perez standing outside the house where she gave birth. Over the next twelve hours, the pain became more and more intense. Ines was in a panic. Her mind kept flashing back to her pregnancy of three years prior. That time, after her water broke, a midwife determined that she needed a cesarean section, but there was no practical way to get her quickly to a hospital. Sadly, Ines lost the baby. She was determined not to let that happen again. Ines started pacing the floor. She didn’t know what to do. Ines grabbed a bottle of alcohol, downed a few to help kill the pain, and decided to take matters into her own hands. Shortly after midnight, Ines asked her 8-year-old son Benito to “Go and bring the new knife.” He returned with a wooden-handled kitchen knife that had a 6-inch (15-cm) long blade. You can probably guess where this story is headed. I’ll warn you in advance: The next few paragraphs are a bit cringe-worthy, so you may want to fast forward through them. Holding the knife by the blade instead of the handle, she applied pressure and attempted to make an incision into her belly to remove the baby. Ines was later quoted as saying, “Once wasn’t enough. I did it again. I was crying and screaming, in terrible pain.” She continued, “Then I cut open my wound and pulled the baby out by his feet. He cried straight away.” She later estimated the entire self-surgery took about an hour. The vertical incision was made just to the right of her navel and measured approximately 6-¾” (17-cm) in length. Yes, Ines Ramirez Perez had just performed a C-section on herself. The baby appeared to be fine, but she wasn’t. “A lot of blood. It’s going up like a hose.” Ines proceeded to cut the umbilical cord with a pair of scissors, quickly wrapped the baby to keep it warm, put logs on the fire, and passed out. Upon regaining consciousness, Ines told Benito to run and get help. 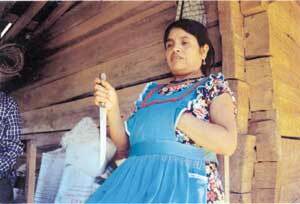 Ines Ramirez Perez holding the knife that she used to perform a cesarean on herself. Around 4 AM a village health assistant named Leon Cruz arrived and found Ines awake, alert, and caring for her newborn baby Orlando. Cruz had basic first aid training and used his minimal skills to close the wound with an ordinary needle and cotton thread. Next, Ines was placed in a rural mini-passenger bus and driven along unpaved roads to a health clinic in the village of San Lorenzo Texmelucan. It was immediately clear to the attending physician that the facility was ill-equipped to help her, so they placed Ines and the baby into the back of a pickup truck. But her pain had become too intense and she had to be transferred to an ambulance. She was taken to the state hospital at San Pedro Huixtepec. Doctors in San Pedro were shocked by how well both Ines and the baby were doing. The wound showed no sign of infection and there was minimal bleeding. Her uterus had returned to its normal size and there appeared to be no damage to the intestines. Surgery was performed to repair the crude incision. While they were at it, the doctors opted to tie her tubes to prevent additional pregnancies. Triple antibiotics were prescribed and it initially appeared that Ines was on the road to recovery. But things didn’t go as smoothly as articles in the press made it sound. Three days after the surgery, Ines was showing signs of a blockage of her bowels. Attempts at relief without surgery were unsuccessful; so on the seventh postoperative day a surgeon was called in. 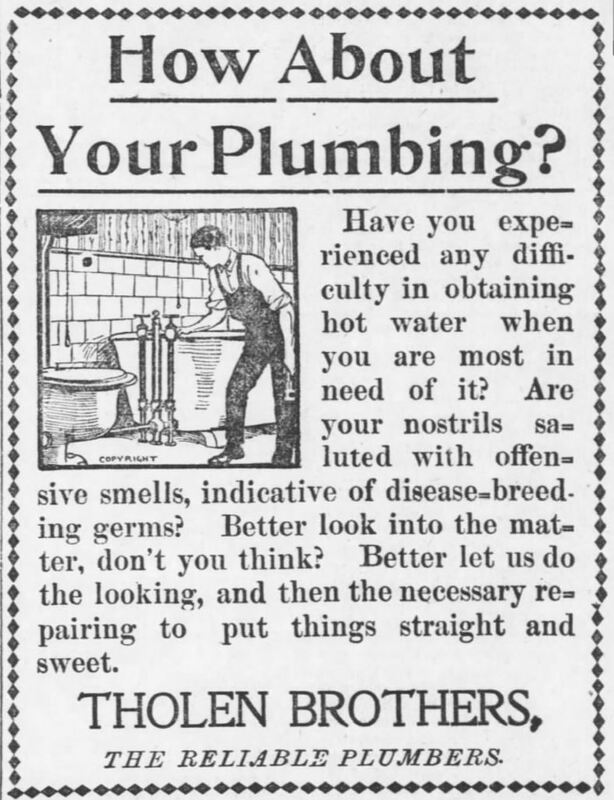 It was determined that an adhesion had caused her descending colon to become twisted. A little snip-snip and that problem was resolved. If you do a search on the Internet, you can easily find images of the surgery and the suture. They are not fun to look at. 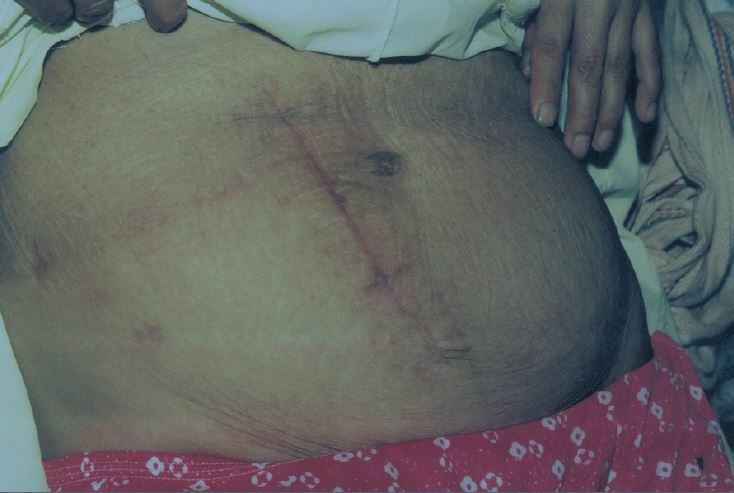 Image of healed scar on Ines Ramirez Perez taken four weeks after her surgery. Ines was released from the hospital on the 10th postoperative day. She was placed aboard a bus, but its roundabout path meant a 12-hour ride to get home. At one point along the journey, she made the decision to disembark from the bus. Ines walked for 1-½ hours along rocky footpaths with Orlando strapped to her back to get home. That’s one tough woman. Almost every story in print and on the Internet claims this to be the only documented case of a successful self-cesarean in history. Even Wikipedia states, “Ramirez is believed to be the only person known to have performed a successful caesarean section on herself.” Of course, that got me thinking. Was this really the only case? It turns out that it was not. Not even close. I was able to find information on a total of 24 DIY cesareans. I must admit that I cheated by reading a 2014 article titled “Auto-Caesarean section: a review of 22 cases” that appeared in the Archives of Women’s Mental Health. That added 21 more cases to the one that my wife had already brought to my attention. 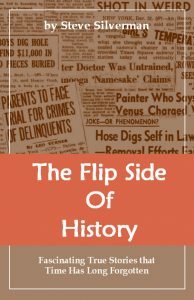 To avoid boring you to death by going through each of the individual stories, I will just present you with a short summary of a few of the most interesting. The earliest documented case occurred back in 1769 on a plantation in Jamaica. A black slave, who had previously borne three children naturally, became desperate and operated upon herself. Unfortunately, she accidentally cut the baby’s right thigh and it died six days later. The mother did survive and she became pregnant again. She attempted to do the same self-surgery once again, but others intervened and stopped her from doing so. This time, her baby was delivered properly and survived. In 1843, fourteen days after a couple was married, the husband was transferred to a different locality. His 28-year-old wife became pregnant, but was convinced that this was an impossibility because she believed his sperm to be immature. Instead, she said that her belly contained a snake. The baby was born in the usual way, but the mother would not accept it as her own. Two days later she took a knife, cut open her abdomen and attempted to remove her snake-like intestines. She did recover from both the self-surgery and the mental illness. 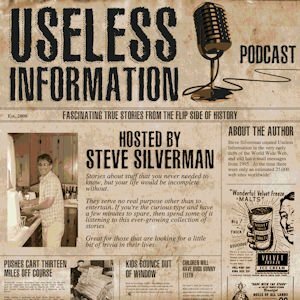 On August 16, 1981, police officers in Ithaca, New York noticed 29-year-old Deborah Stagg walking down the street in bloodstained pants with a baby carrier strapped around her neck. Inside the carrier was a naked 2-pound (0.9-kg) newly-born baby girl. It was determined that she performed a C-section on herself using a pocketknife and then stitched her wound closed. It was only a few minutes later that the officers discovered her, which most likely prevented her from bleeding to death. The most recent case that I could locate was that of a 28-year-old woman from the Philippines who did the same thing using an ordinary kitchen knife, needle, and thread. The child did not survive and the mother was brought up on an abortion charge. Personally, I can’t imagine ever cutting myself on purpose. Just the thought of doing so makes me cringe. Ouch, ouch, ouch! Spanish language news segment on Ines Ramirez Perez.